The 2018 Mzansi Super League is the inaugural edition of the tournament, scheduled to happen in South Africa from November 16 till December 16. The tournament will feature six teams - Cape Town Blitz, Jozi Stars, Nelson Mandela Bay Giants, Durban Heat, Tshwane Spartans, and Paarl Rocks. Squads were finalized based on a players draft which happened in mid-October. Majority of the top South African cricketers are participating in the tournament, which also includes some exciting overseas players like Rashid Khan, Chris Gayle, Dwayne Bravo, Dawid Malan, Eoin Morgan, and Jason Roy. 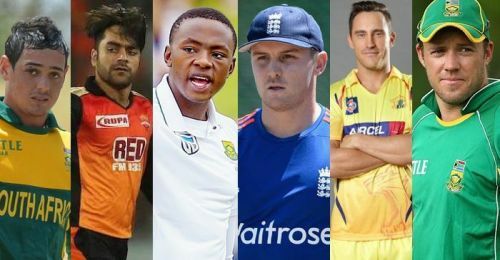 With the IPL 2019 auction coming up in mid-December, IPL franchises are busy hunting for quality talents and the first place they look into are the performances of players in the various T20 leagues from across the globe. On that note, let’s take a look at the 5 players who could get big bucks in IPL with good performances in the Mzansi Super League. One of the underrated middle-order batsmen in the South African domestic circuit, Christiaan Jonker received his maiden international call up a few months ago. 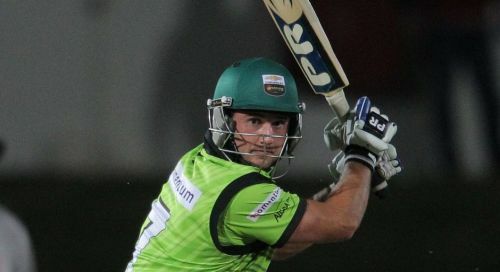 One of the most destructive finishers in domestic T20 cricket, Jonker can smash it right from the word go. The 32-year-old was exceptional in the 2017 Ram Slam T20 League. One of the top run-getters in the tournament, Jonker finished with 290 runs at a strike rate of 144. He played some blistering knocks in the tournament and was a standout performer. A good 2018 Mzansi Super League will grab the attention of IPL franchises. Bought by Nelson Mandela Bay Giants for the inaugural edition of the tournament, Christiaan Jonker is expected to play a huge role for his team.